Mahindra today showcased the very interesting GenZe 2.0 electric scooter at the 2016 Auto Expo that was launched in the US last month. Designed and conceived with the idea to provide comfortable, inexpensive and easy urban mobility. GenZe, which stands for Generation zero emissions, went on sale in the US last month and is completely designed and engineered in Ann Arbour, Michigan by the startup GenZe backed by Mahindra. The all electric Mahindra GenZe 2.0 scooter gets a hub mounted electric motor with charging points for iPhone and iPad under the seat, while power comes from a detachable battery that can be charged from standard power outlet at one's home and charges completely in 3.5 hours. The open cargo receptacle capacity can accommodate 35 kg worth of luggage. Stopping performance on Mahindra's electric scooter comes from discs brakes at the front and rear. The motor is capable of offering quick bursts of power but tops out at a mere 48 km/hr. One does not need a standard driver's license to ride the GenZe on public roads, which makes it open to riders of all skills. The Mahindra GenZe 2.0 also incorporates a 7-inch touchscreen display unit which is humongous for the otherwise puny offering and doubles up as the speedometer. The unit also allows the rider to switch between ride settings including Safe, Econ and Sport, which changes the torque output. Choosing the Sport mode allows the rider to play with maximum torque output with 0-30 km/hr coming up in 8 seconds. 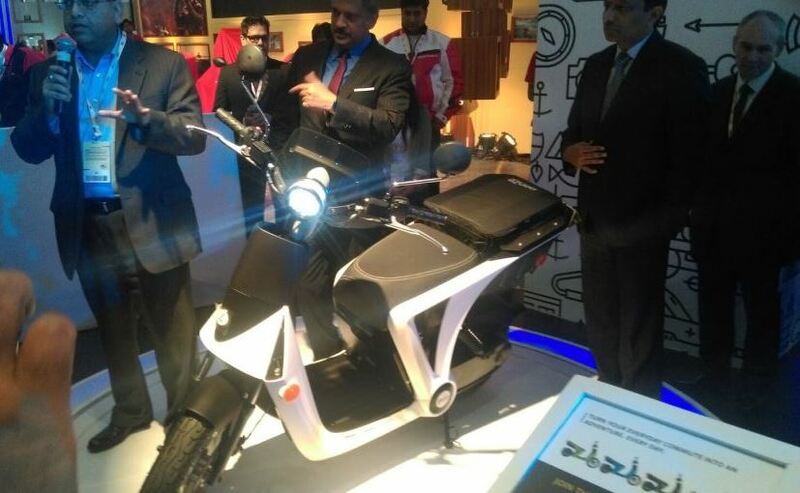 However, what really adds innovation to the Mahindra GenZe 2.0 is the cloud based connectivity option that sends all details related to the scooter. The scooter is connected to a cloud server using an app on your smartphone with the database collecting the smallest of telemetry related to the scooter. Sold with a price tag of $2999 (around ₹ 1.90 lakh), the Mahindra GenZe has a limited audience to cater to and hence, it isn't surprising that the Indian auto giant won't be bringing the scooter to India any time soon. That said, the technology does showcase Mahindra's capabilities and technological innovations that will reflect in its future offerings.